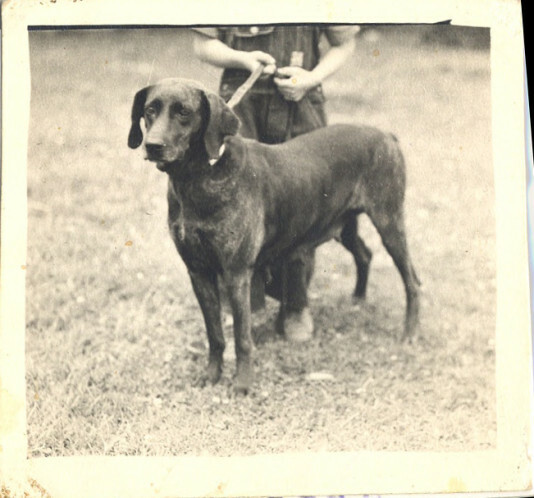 Haywood County is home to the Plott family, the original breeders of the Plott Hound, North Carolina’s official state dog. The first Plotts (and hounds) came to North Carolina from Germany in the mid 18th century. The dogs were similar to hounds already in the colonies, but had larger heads and proved to be especially fierce fighters. When it was discovered that the dogs could hold their own against wolves and bears, they were in high demand among farmers who used them to protect their livestock. 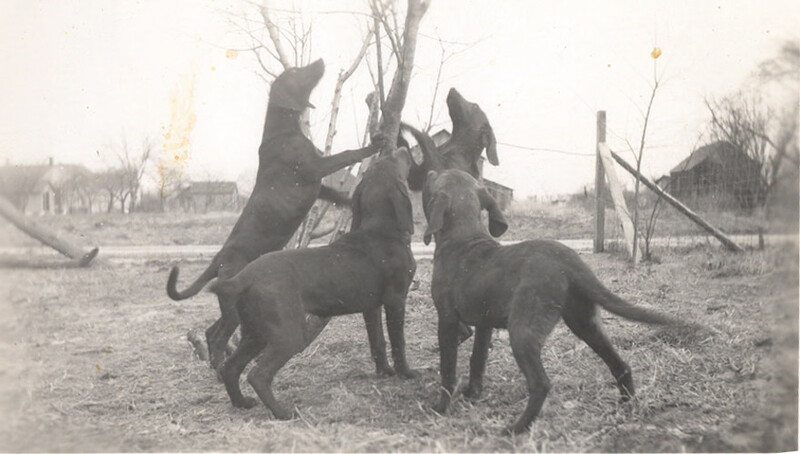 In the 20th century, Plott Hounds were common in the mountains of western North Carolina and Tennessee. They gained national attention in the early 1930s when Life magazine ran a feature on the dogs, and then in 1946, when the United Kennel Club recognized them as a separate breed. The Plott Hound was recognized as the North Carolina state dog in 1989, but the breed really hit the big time in 2008 when the first Plott Hound appeared in the Westminster Kennel Club Dog Show. 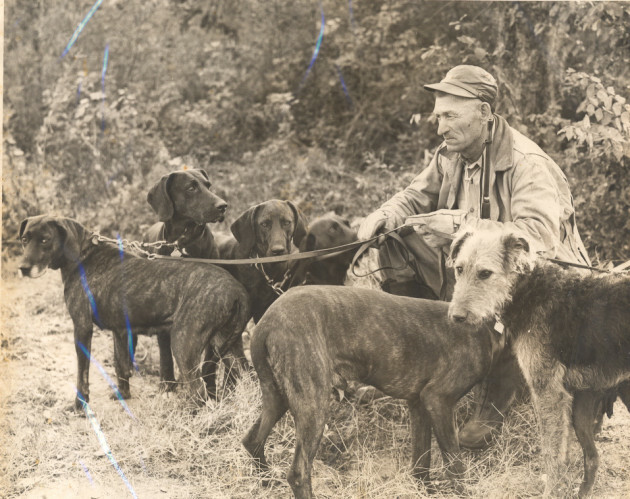 Henry Vaughn 'Von' Plott with Plott Hounds. Haywood County Public Library.